TDR (Training and Development Resource) provide engineering and science apprenticeships. 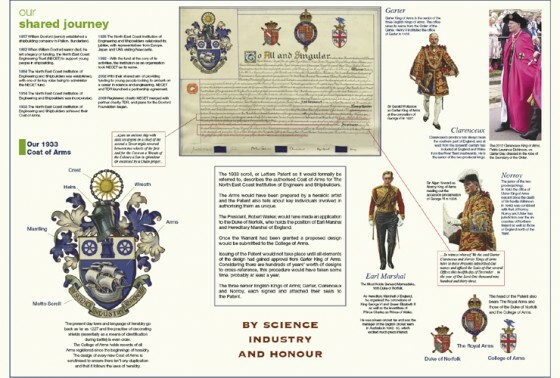 The North East Coast Engineering Trust (established in 1882) merged with TDR Trust in 2009 and as a result TDR inherited their coat of arms. The original 1933 acheivement of arms scroll, or Letters Patent as it would be formally called, has been framed and takes pride of place on the office wall of TDR’s Managing Director. 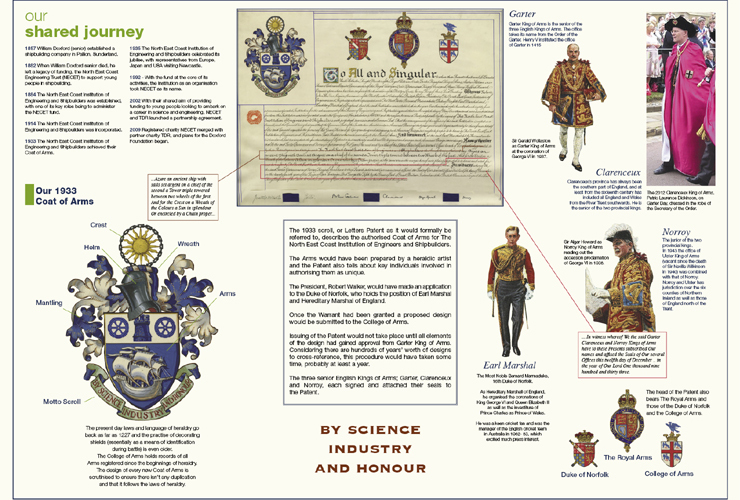 Alongside the framed Letters Patent there is also now a framed poster, designed by MBS, which highlights the College of Arms heralds involved in issuing a Patent; Earl Marshall, Garter, Clarenceux and Norroy. The research element of this project was fascinating and my thanks go to Ian Young (Managing Director TDR) for providing the opportunity to enhance my education whilst providing a design service. Thank you also to Peter O’Donoghue (York Herald, College of Arms) for taking time to review the results of my research and authorise it as being correct.